If you’ve ever wanted to learn more about our automated dimensioning solutions, Promat 2019, held at Chicago’s McCormick Place convention center, is great place to start. We’ll have product experts on hand to answer your questions about our parcel and pallet dimensioning devices – everything from performance specifications and customization to systems integration and pricing. Find us in booth S5234 in the South Hall, right in the heart of the Fulfillment & Delivery Solutions Center. And while you’re there, be sure to enter our prize drawing for a chance to win $5,000 off a new FreightSnap FS 5000 pallet dimensioner – already the best value in dimensioning. The show starts April 8th and runs through April 11th, so if you’re interested in scheduling a meeting with us while you’re at the show, email sales@freightsnap.com and we’ll get you on the calendar. 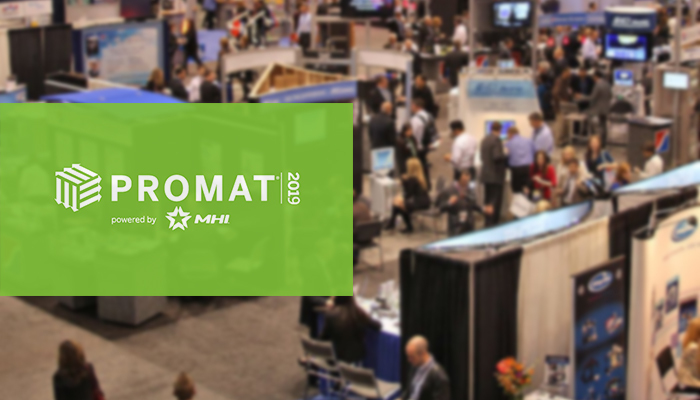 To learn more about Promat, and explore solutions from 1,000 other vendors exhibiting at the show, visit Promatshow.com.